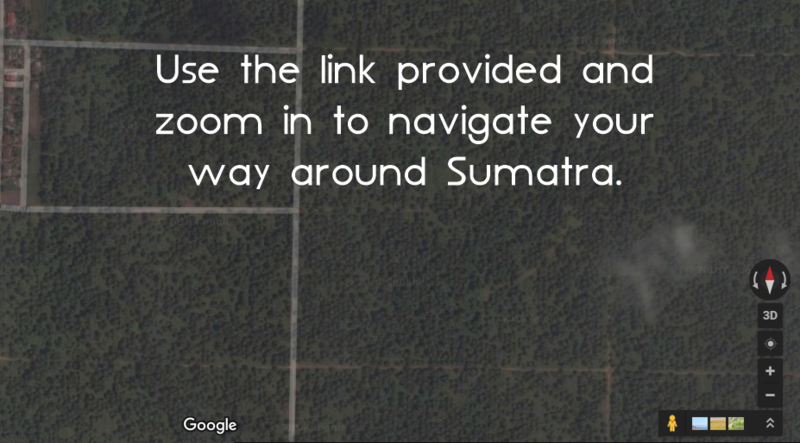 Indonesian island Sumatra is where the orangutan is listed as critically endangered. Make sure you zoom in when you navigate your way around the island. What you are looking for is forest. You will notice it all looks rather green and lush until the zoom function gains its focus. What you will actually see is palm plantations and habitat destruction covering the island from one side across to the other. WARNING - The following slides include some very graphic images. Deforestation - Sumatra and Borneo. Elephant deaths due to conflict.